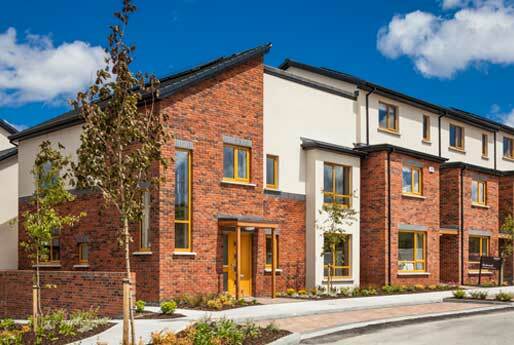 Lara Electrical Limited has completed upwards of 5,000 domestic installations in its time, working for many of the largest construction companies in Ireland. Lara designed and installed the entire electrical installation and renovations for multiple large industrial office and warehousing units for the Harris Group, covering in excess of 4 Ha of warehousing and office space. 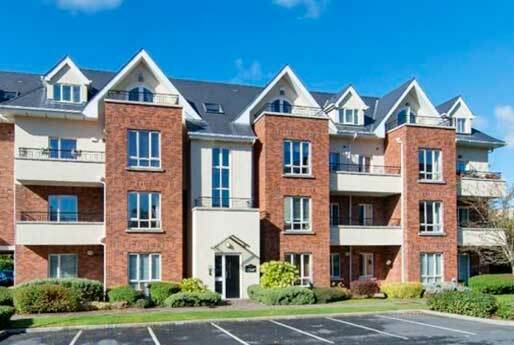 Lara completed the renovations and expansion works in Irelands largest Hotel, Citywest Hotel and Convention Centre, expanding the hotel after its large fire in 1997, from 50 rooms to the current total of 1,712 bedrooms including Leisure Centre and Conference Centre. 20 years’ experience in electrical installations for modular buildings and portable cabins for Roankabin incorporating a wide variety of regulatory sectors from healthcare to schools. 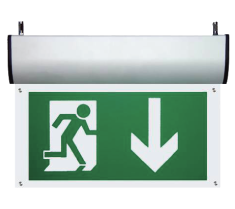 Emergency lighting is a lighting system designed to illuminate designated escape routes for emergency situations in a development when the main power supply fails. 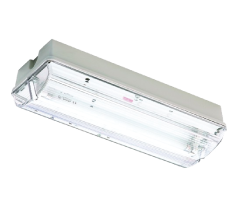 The emergency lighting system shall supply adequate lighting levels along escape routes, clearly illuminating directional displays to the nearest designated exit, and illuminating all life safety systems such as fire extinguishers etc. Minimum light level of 1 Lux on all defined escape routes (e.g. Centre line of Corridor). Minimum light level of 0.5 Lux on all undefined escape routes (e.g. Open plan area). A minimum illuminance level of 5 Lux to the vertical (face of equipment/device) on all fire-fighting equipment, Manual Call Points, Fire Alarm Panels, First Aid Posts and Electrical Distribution Panels. 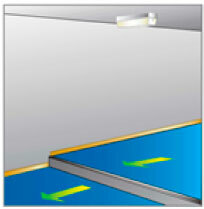 In practice, in order to obtain the required lighting level an emergency fitting is required above locations. 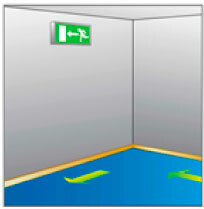 Near each final exit and outside the building to a place of safety. 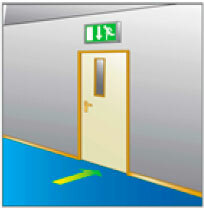 Near escape equipment provided for the disabled, disabled refuges, disabled refuge panels and call points. 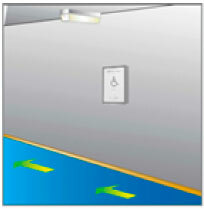 Maintained – The emergency light units are illuminated at all material times using the same lamps for both normal and emergency operation. 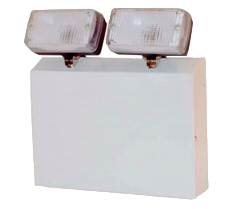 Sustained – The emergency light units are fitted with two lamps or two sets of lamps. One of which operates on mains 240V AC supply, the other which operates from the battery supply in the event of mains failure. 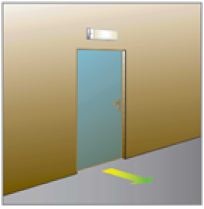 An engineer will walk the development and visually determine that all emergency luminaires and lamps are operational and illuminating for the duration of the test. Following the termination of all simulated power failure tests, check that all emergency luminaires are still operational and illuminating correctly, and that the green LED status indicators are showing a healthy condition. Lara has been maintaining Emergency Lighting systems since 1986 and has a full professional dedicated Servicing and Maintenance team. 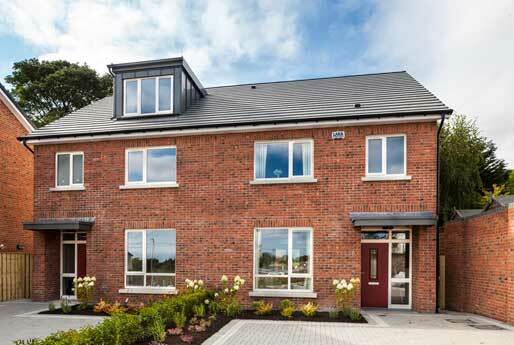 Lara currently provides its professional Servicing and Maintenance to many of Dublin’s largest Property Maintenance Companies and a diverse range of commercial developments. 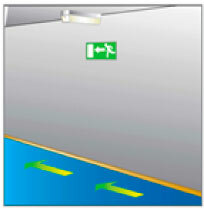 We are a highly experienced professional company in respect of the maintaining of all Emergency Lighting Systems. 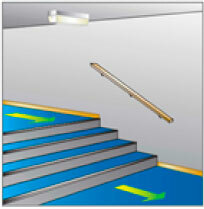 Lara has a dedicated Service Team whose job it is to solely look after all Emergency Lighting systems under our care. Should you wish to consider Lara to offer a competitive maintenance contract, we would be happy to call to you to survey or audit all aspects of your system and to provide you with a professional competitive quotation or professional assessment as to the condition of your current system. Lara can design a new Emergency Lighting System or audit an existing system, and ensure that the system you receive adheres to the statutory requirements set out in I.S.3217:2013. 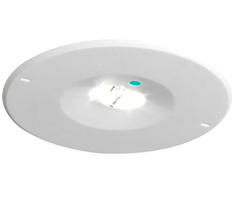 Furthermore Lara will supply and install the emergency lighting system, commission and maintain the system to the highest standard. Through Lara’s vast experience, competency, and competitive pricing, Lara is best placed to meet all the Emergency Lighting concerns you may have. Upon completion of any facet of works performed on the Emergency Lighting system, Lara will supply and hold a copy of any certification or reports that you may require to ensure to stay compliant with all statutory requirements. 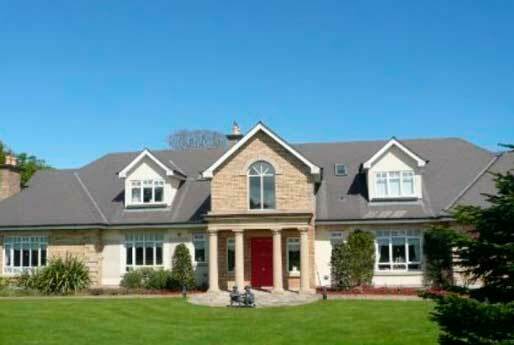 No electrical installation, no matter how carefully designed and erected can be expected to last forever. Deterioration will take place due to age as well as due to normal wear and tear. With this in mind the Wiring rules recommend that the installation should be inspected and tested periodically to ensure that the installation still complies with the rules. 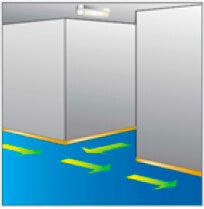 The time interval between inspections will depend on the type of installation and the way in which it is used. Table 1 shows suggested intervals between periodic inspections, as specified by ETCI. The National Wiring Rules requires the recording of inspection and testing which has been carried out in accordance with the standards. 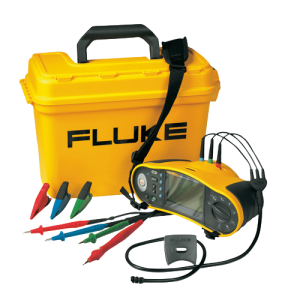 The information to be recorded includes a description of the installation, circuit details including type and ratings of protective devices and test results. Maintaining accurate Test Record Sheets as evidence of inspection and testing records of a new installation or an extension is an essential and most important component of any electrical contract whether minor or major. To neglect to hold such records is a serious breach of the wiring rules and in addition would leave the electrical contractor open to being held responsible for work or additions done by others subsequent to the verification of his contracted work. Lara can supply and install structured cabling systems to meet all networking IT requirements to suit each customer’s needs. Alternatively Lara can test or extend existing networking installations. Design – Lara will liaise and design the network layout and bandwidth requirements in order to support data requirements of your development. Installation– Lara will install all requirements from Electrical mains installation, containment, cabling, terminations, and telecoms. Cabling and terminating – Cat5e, Cat6a, Cat7 & fibre optic. Testing– Lara can certify all installations to industry standards.